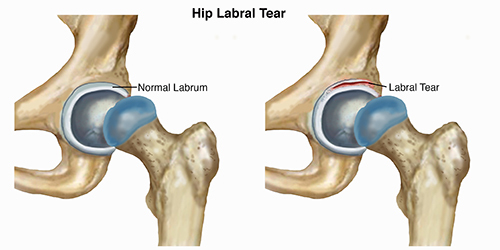 1 What is Labral Tear? 3 Who has a higher chance for this injury? Hip joint is built from the head articular part of the femur, a thigh bone and a cavital part in the pelvic bone, known as Acetabulum. This two have cartilage surfaces that will conjoin and build a joint allowing movements in any direction. 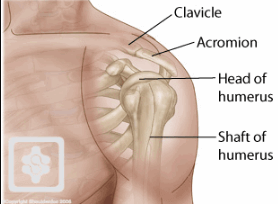 The only joint that has more movements is the shoulder joint. Both of these joints may suffer a labral tear. Shoulder joint is built from the socket surface, the glenoid fossa of the scapula and head part in the upper part of the arm bone. Labral tear happens in sports injuries and includes damage to the ring that keeps the head in the socket of the joint, securing their position. Labrum is the ring made of fibrous cartilage tissue, which is more dense and firm type of cartilage tissue. Meniscuses of the knee are made of the same material. The labrum completely seals the gaps between the two components of the joint, providing stability. If it gets somehow torn or dettached in some trauma, the joint becomes unstable. This may happen in sports when doing inappropriate movements or during falls or hits. Sports in which these injuries are the most common are soccer, hockey and ballet. The mechanism of injury of the shoulder joint is usually falling on the outstretched hand or excessive movement in the joint, when throwing an object for example. Hip is usually injured when a person is directly hit in the hip or in sudden twists of the leg. Shoulder is more often injured than hip joint. Injury in the shoulder joint may be divided into two categories, depending on which side of the labrum is torn – anterior or posterior. Who has a higher chance for this injury? Type II, where there is a complete detachment of the labrum from the joint surfaces, which leads to acute severe pain. Some of the first symptoms include pain and restricted movements, although not all people experience pain. Pain is in the hip and groin, if the damage is in the hip labrum. Pain is triggered and worsens with prolonged sitting in one position, walking doing sqwats. Shoulder labrum disables movements in everyday life, and reduces the quality of life. It is usually associated with other shoulder injuries. Movements are limited, with stiffness of all surrounding muscles. Usual sign is clicking or locking when moving the joint, which appears because of the broken ring. This may provoke long-lasting pain, which is why patients usually avoid moving at all. Sometimes hip labral tear may look similar as groin injuries of the adductor muscles or as leg flexor injuries. 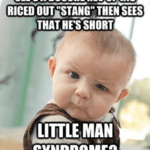 After taking a thorough history and reconstruction of the mechanism of injury, the doctor, or sports doctor specialist will suspect where the trauma is. The differential diagnosis includes various other injuries, because around the shoulder and hip joint there are many tendons, ligaments and muscles that may be injured, and also in young adolescents there is a possibility of an avulsion fracture, which is excluded or proven with Xrays. Initial treatment requires rest and application of cold on spot where it hurts the most. Ice packs are not applied directly to the skin, but rather wrapped in a towel. Icing is to be done 3-4 times a day for at least 15 minutes. Sometimes there are indications for corticosteroid injections which reduce inflammation, swelling and pain. The joint is this way protected from further damage and swelling. It is beneficial to use analgesics, usually NSAIDs, since the pain may be severe and reduce sleep. Type I injuries usually heal with these simple therapeutical measures. Exercise and physical therapy should begin gradually, and only when the acute phase passed, and the pain is gone or significantly reduced. The exercises are used to strengthen the muscles and are performed under the supervision of the professional. Sometimes there are indications for arthroscopic surgeries to reconstruct the labrum. This is, when there is no good response to initial treatment, or the damage is severe. In most cases the labrum will heal on its own, depending on the level of oxygenated blood that supplies the damaged tissue and promoting factors. This is performed in the same act as the diagnostic arthroscopy. Arthroscopy is necessary for Type II injuries, to repair the detached and torn labrum. In this procedure, a surgeon will make stitches through the labrum and tie them to the anchors previously placed in the bone. This way the labrum is fixated and will heal tightly over the bone. Even after this procedure, to prevent a frozen shoulder (complication after any inflammation of the shoulder, when a lot of fibrous fibres accumulated in the joint liquid, creating adhesions, and limiting movements), a person must begin with exercises, gradually increasing the effort of the muscles. This will promote circulation and prevent complications. (3) (6) After arthroscopy, a patient is free to leave hospital and do a home treatment. These injuries have generally a good prognosis, but the recovery usually takes 3-4 months. It is individual at what rate does the performance improves. Labral tears of the hip. Champion performance and physical therapy. [Online] 2016. [Cited: 3 19, 2017.] http://www.kcchampionperformance.com/news/2016/3/7/z52iy2nyjpz1imgusayged8wo22sfe. Labral Tears. Shoulderdoc. [Online] [Cited: 3 19, 2017.] https://www.shoulderdoc.co.uk/section/896. S., Armfield. Hip Labral Tear. Physio works. [Online] 2017. [Cited: 3 19, 2017.] http://physioworks.com.au/injuries-conditions-1/hip-labral-tear. 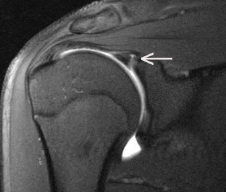 Labrum tear. Gomidwestsports. [Online] [Cited: 3 19, 2017.] http://gomidwestsports.com/surgical-procedures/labral-tear/. Hip labral tear. Mayo Clinic. [Online] 2016. [Cited: 3 19, 2017.] http://www.mayoclinic.org/diseases-conditions/hip-labral-tear/symptoms-causes/dxc-20270127. Labral Tears. Miami Sports Medicine. [Online] 2011. [Cited: 3 19, 2017.] http://www.miamisportsmedicine.com/LabralTears.html.